It’s Not all Fog in London, There are Gluten Free Croissants too! At the end of September, I made my dreams come true by embarking on a two week journey through England and Ireland. 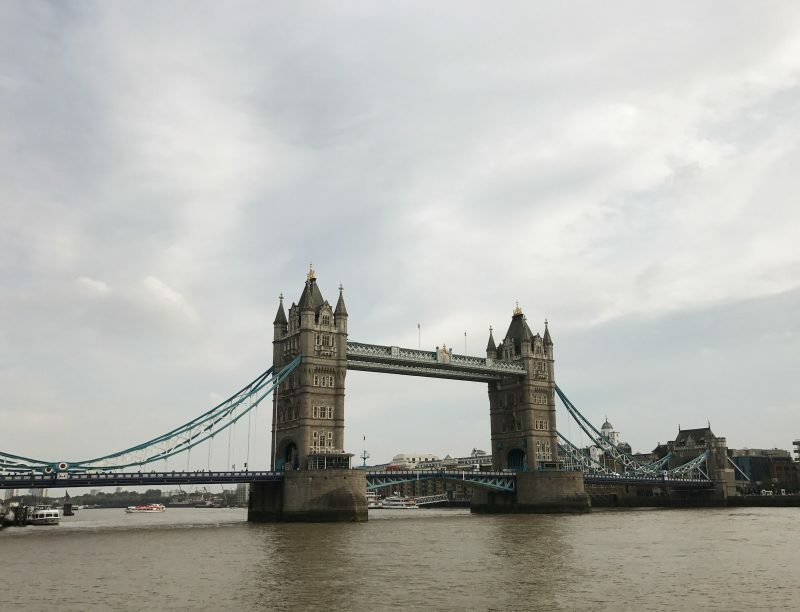 I started in London, traveled north to Sheffield, and then boarded a plane for Dublin, spent a few days there before heading to the Northern Coast to see Galway and the Cliffs of Moher, and then returned to London. It was, without a doubt, the best two weeks of my life. Though I prefer to travel with little to no plan (I favor spontaneity), I do a lot of research on local food and restaurants before I travel. This is for two reasons: 1) I love food and adore experiencing local cuisines as a way of being introduced to new cultures. And 2) I have food intolerances and going in with a plan reduces the stress of finding safe places to eat. I am gluten intolerant and corn intolerant. I try to eat vegan as often as possible, but I do eat eggs and a little bit of dairy. While many would look at this as a setback, I prefer to look at my dietary needs as a challenge; one that I can conquer by eating all of the delicious Maggie-Safe food that I can find…and boy, I sure conquered it! Red Chilli Curry Club is an award winning Indian and Pakistani restaurant in London’s East End. I stumbled across Red Chilli on my first night in London; I had gone to see the London Bridge and Tower of London, and on my way back to my hostel became very aware of the rumbling that had begun in my stomach. Leman Street has many restaurants; most of them being Asian or middle eastern, and Red Chilli was one of three Indian restaurants. 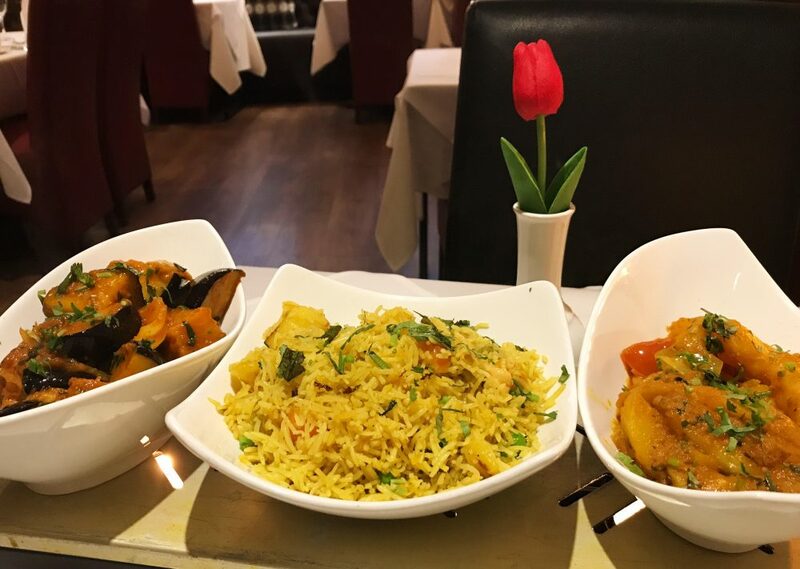 I was ecstatic, as Indian is one of my very favorite cuisines, and I quickly searched reviews of the three to ascertain the best one.Red Chilli is understated and elegant and the smell of spices and curries wafts from the kitchen, which made my stomach even more talkative. I decided to order two of the vegetarian sides and a rice dish. The waiter was very helpful in making sure that everything I ordered was gluten free. I’m a sucker for eggplant (or aborigine, as they refer to it in England) so I got the Begun Bhaji, a fried eggplant dish. The eggplant was absolutely perfectly cooked; the skin was deep purple and crispy and the insides were pale and creamy. The sauce was delicious and a little spicy. The second vegetable dish was the Bombay Aloo, which is a dish with potatoes that have been boiled and then fried with various spices. The potatoes were of the perfect crispness and the spice mix that was used was out of this world. I ordered saffron rice to accompany my veggie dishes and a cider to wash it all down, and had the best welcome to London dinner I could have imagined. The Breakfast Club is a well-known chain in London, with eleven restaurants. The best part about The Breakfast Club is a badly kept secret; five of the locations have a secret bar underneath! I visited the Spitalfields location. At noon on a Friday, there was a line out the door, but I was happy to wait and take in the amusing décor. The menu is stocked with interesting takes on old favorites, as well as many things that I had never seen before. When the waiter came to take our order, I, as any self-respecting gluten intolerant human does, prefaced mine with “I have a gluten intolerance!” and she immediately left to find a manager. The manager explained that though they did not have gluten free bread or a like substitute, they could make just about anything on the menu gluten free. 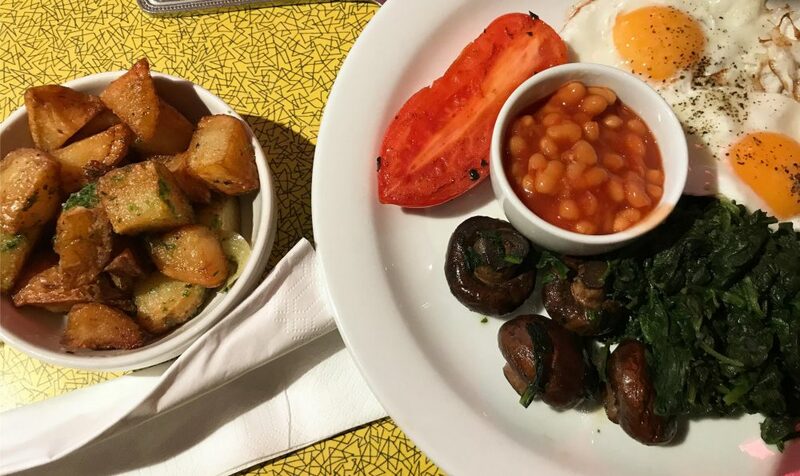 I ordered the vegetarian “Full Monty,” (a vegetarian Full English breakfast – fried eggs, baked beans, fried potatoes, mushrooms, fried tomato) which was gluten free without the toast, and they kindly served it with extra veggies to make up for it. Camden Market is a cornucopia of funky clothes, absurd art, beautiful trinkets, and the most marvelous, varied selection of every food you could ever hope to consume. 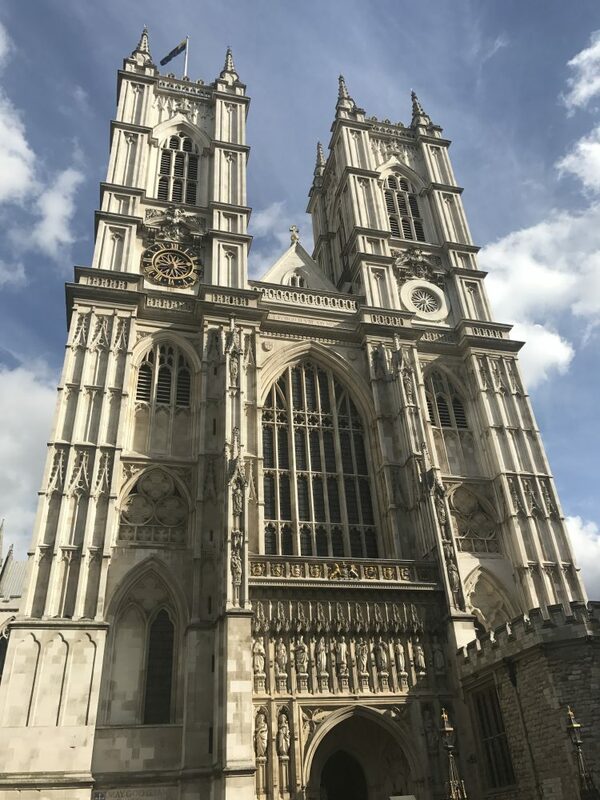 It is also the fourth most popular tourist destination in London with over 250,000 people visiting weekly and it’s obvious as to why. 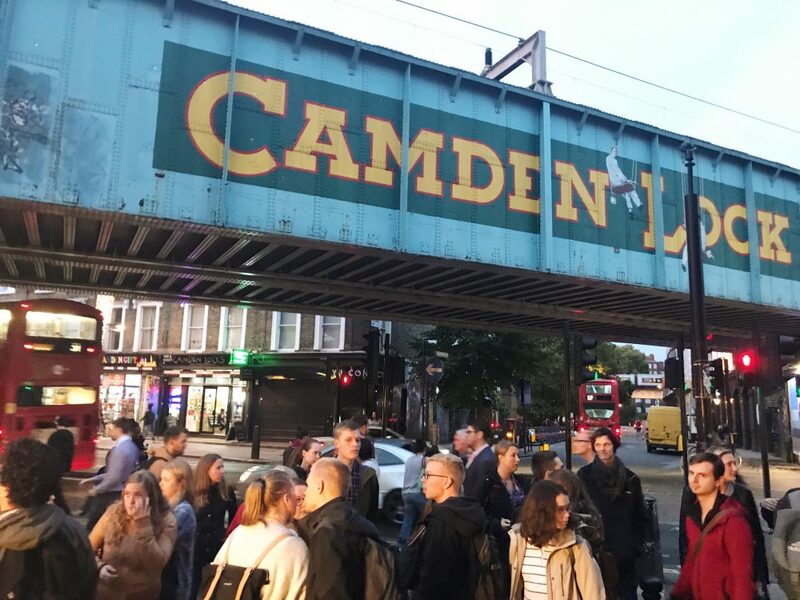 There are six distinct adjoining markets that make up Camden Market and each one is overflowing with delightful goods and heavenly smells. 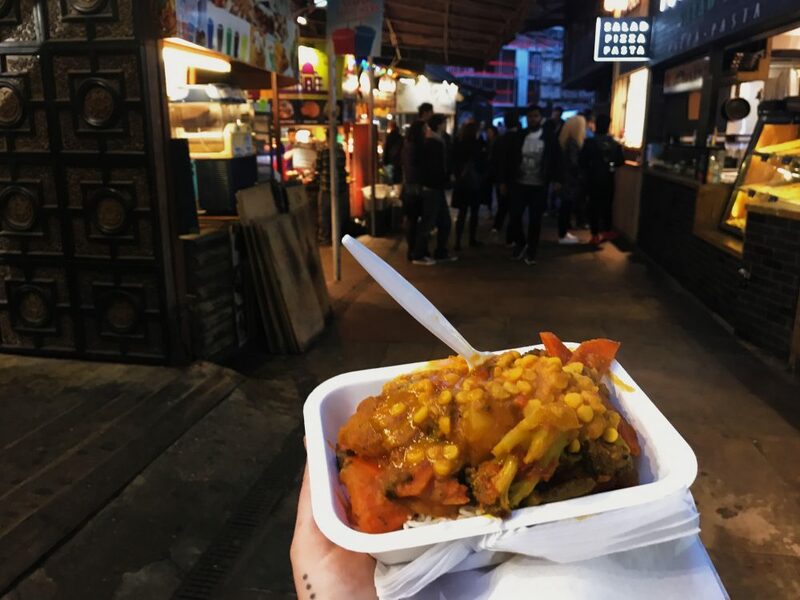 The market is built of 1000+ stalls and shops, with a large chunk of them being one of a kind eateries where you can truly find anything your heart desires, and lucky for us, most stalls are very gluten free friendly. Have a hankering for Levantine cuisine? Visit Zala Grill for everything from seafood to kebabs. Check out Oli Babba’s for the riot inducing Halloumi fries and Crepe a La Carte for gluten free crepes! Maize Blaise will create the perfect Colombian gluten free feast for every vegan, vegetarian and carnivore in your party, or you could be equally satisfied by the authentic north Indian curries at Sonita’s. Is it pizza time? 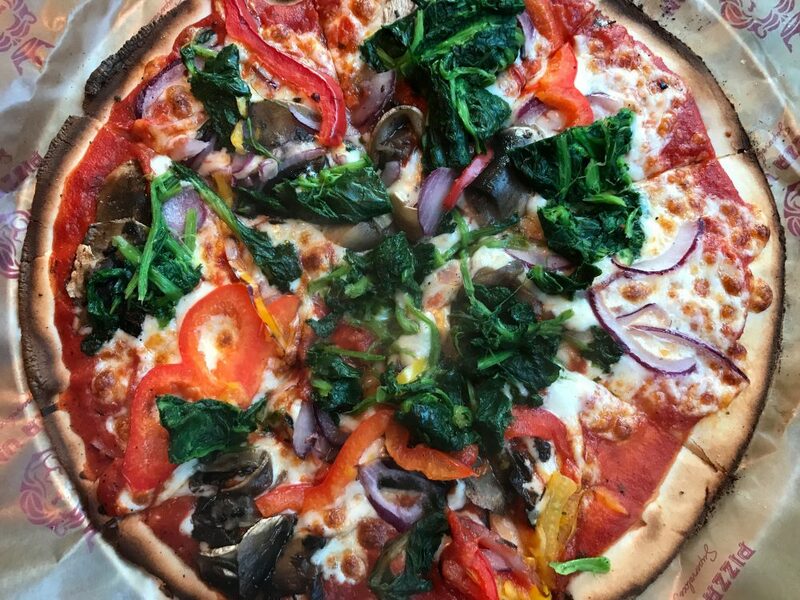 Put the gluten free crust at Camden Pizza Co. to the test. Try Hanoi Kitchen for a flavorful kick straight out of Vietnam or Club Mexicana for joyful vegan Mexican food. Chow down on a gluten free burger from Honest Burgers or get your Greek fix at Kalimera. Or just wander into the market, pick the first stall that makes your mouth water and simply ask. It seemed that in every stall I visited in Camden Market (and every restaurant in London) had gluten free options even if they didn’t advertise them. Pizza Union is an up-and-coming pizza chain in England, with four locations in London. The main appeal of Pizza Union, besides their delicious thin crust pizza, is that they are very inexpensive and very fast. Lucky for me, Pizza Union had a location right down the street from my hostel and I definitely took advantage. I wandered in on a Monday; entranced by the smell and the promise that a 12” pizza would only set me back five pounds. I was ecstatic to learn that gluten free crust was available for only one more pound. The menu is that of a typical pizza joint with a bit more European flair than we’re used to in the US. The menu ranges from the classic margherita to the bit more complicated Vesuvio (tomato sauce, mozzarella, pepperoni, mixed peppers, green chillies, and cracked chillies). Feeling creative? You can always pick toppings and make your own. 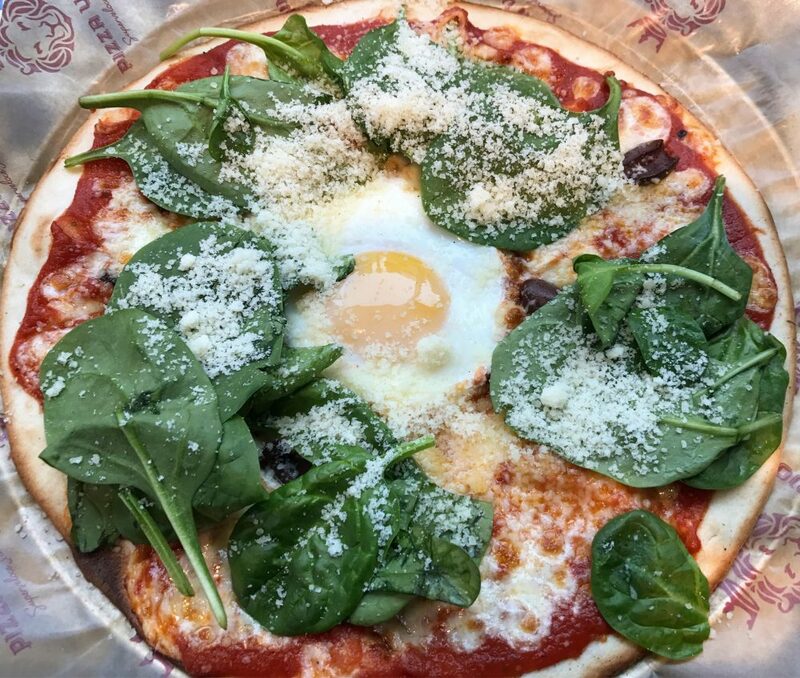 On my first visit, I tried the Florentina (tomato sauce, mozzarella, parmesan, spinach, and egg) and really enjoyed it. The crust was damn good; thin and crunchy but not cracker-like, flavorful but not overpowering, and with some char but not burnt. The tomato sauce was well seasoned and they hadn’t overdone it on the mozzarella, and I was especially pleased that the spinach was neither raw nor fully cooked, but perfectly wilted. What really made the Florentina was the perfect over easy egg, right in the center, and the hefty dose of parmesan sprinkled over the top. That first bite was all melted cheese and spinach, with warm gooey yolk dripping off the top, and I was in heaven. 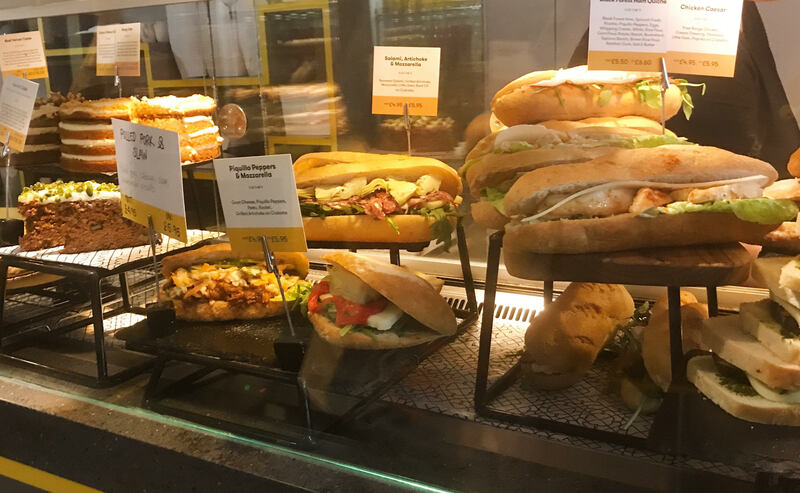 The original Beyond Bread in Fitzrovia opened in 2015, a second location in Islington opened in 2016, and a third branch in Selfridges food hall in 2017; additionally, with their whole sale business booming, you can find Beyond Bread products in Whole Foods across London. When I was doing culinary research for my trip, I came across their delicious Instagram page and my mouth watered from the first photo. 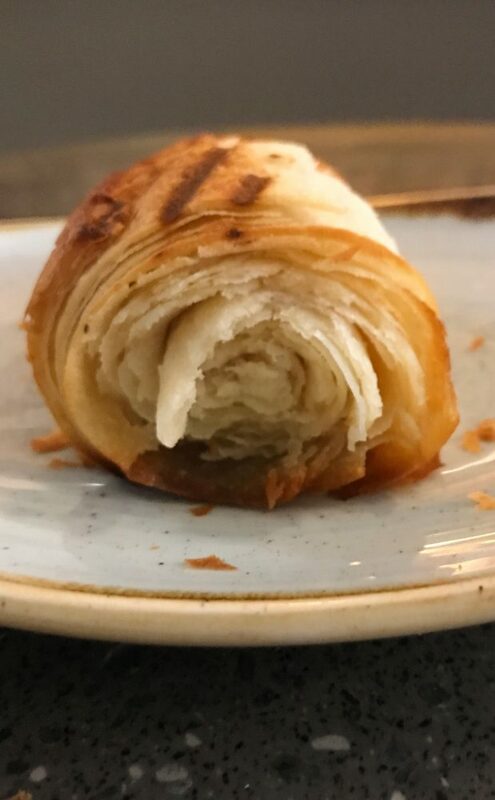 And then I scrolled across a photo of one of their gluten free croissants and I actually shrieked, as I have been searching for a gluten free croissant for a long time and never had any luck. I was so excited when I walked in that I honestly thought I was going to cry. Everything looked absolutely incredible: the cakes were piled high with frosting and designs, the loaves of bread were large and crusty, and the pastries were delicate, flaky, and what dreams are made of. And that’s not all; they have a full brunch menu with open faced sandwiches, pancakes, and a full English breakfast. It took me fifteen minutes to decide on my order. I finally settled on a croissant, a grilled halloumi sandwich, and a chocolate and custard danish. There are not words to describe the overwhelming deliciousness of that croissant. It had that light and flaky texture that is integral to a croissant and so hard to replicate with gluten free flours. It was buttery and soft and just a little crispy on the outside. I ate it plain and toasted, and I still cannot imagine a more perfect, delicious treat. 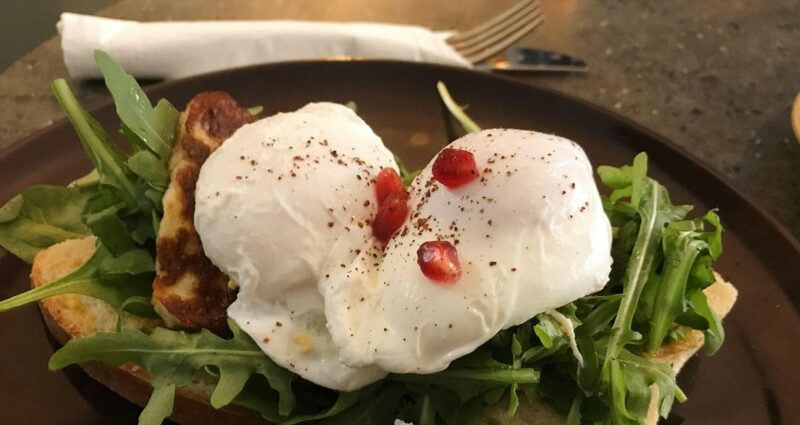 The grilled halloumi sandwich was the perfect brunch: two slices of their sourdough bread with grilled halloumi, hummus, pomegranate, two poached eggs, greens, sumac and coriander. The bread was chewy and tangy, with an excellently soft texture and made for the perfect base to the open faced sandwich. I imagine it would have been awe-inducing just toasted with some butter. The hummus and spicy greens were flavorful and fresh, and the pomegranate gave it an unexpected yet welcome tartness. The halloumi was creamy with just a little bit of char. The eggs were poached soft and once pierced, spilled their perfectly runny yolk over the whole thing. It was a terrifically lovely meal. The chocolate and custard danish was truly spectacular. 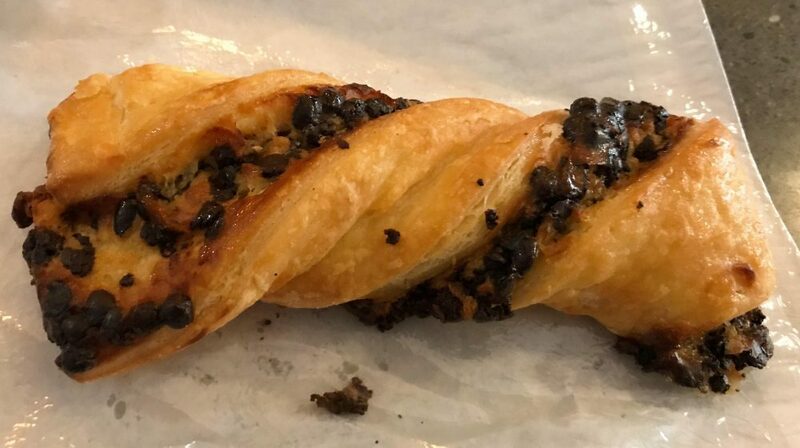 I believe it was made of the same dough as the croissant, but it was then slathered with chocolate, custard, and chocolate chips. It was irresistibly decadent and absurdly delicious.